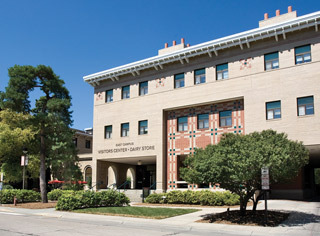 The University of Nebraska-Lincoln's Dairy Store serves handmade ice creams, cheeses and meats to the Lincoln community and beyond. When we opened our doors in 1917, we served all-you-can-drink milk for a nickel to those who brought cups. Our name was Varsity Dairy, and we provided dairy products for the UNL dormitories. The Dairy Store is an educational experience for UNL's talented food science students. In our dairy plants and facilities, students have the opportunity to invent and create products, learn in laboratories, research dairy products and become future food industry problem solvers. We are proud of our outstanding dairy tradition, and we hope you will have a cone with us soon.